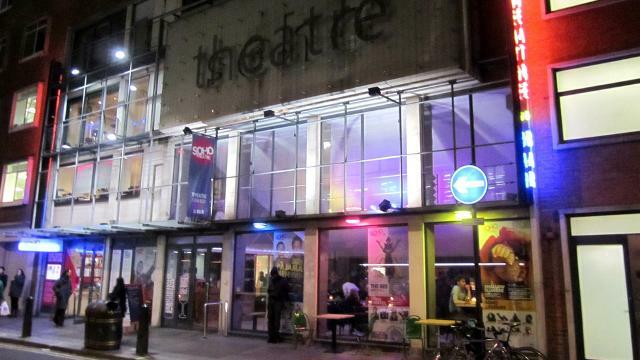 Bang in the creative heart of London, Soho Theatre is a major new writing theatre and a writers' development organisation of national significance. With a programme spanning theatre, comedy, cabaret and writers' events and home to a lively bar, Soho Theatre is one of the most vibrant venues on London’s cultural scene. Soho Theatre owns its own Central London venue housing the intimate 150-seat Soho Theatre, our 90-seat Soho Theatre Upstairs and our new 1950s New York meets Berliner cabaret space, Soho Theatre Downstairs. Under the joint leadership of Soho's Artistic Director Steve Marmion and Executive Director Mark Godfrey, Soho Theatre now welcomes more than 130,000 people a year. Is Soho Theatre & Writers Centre your business?